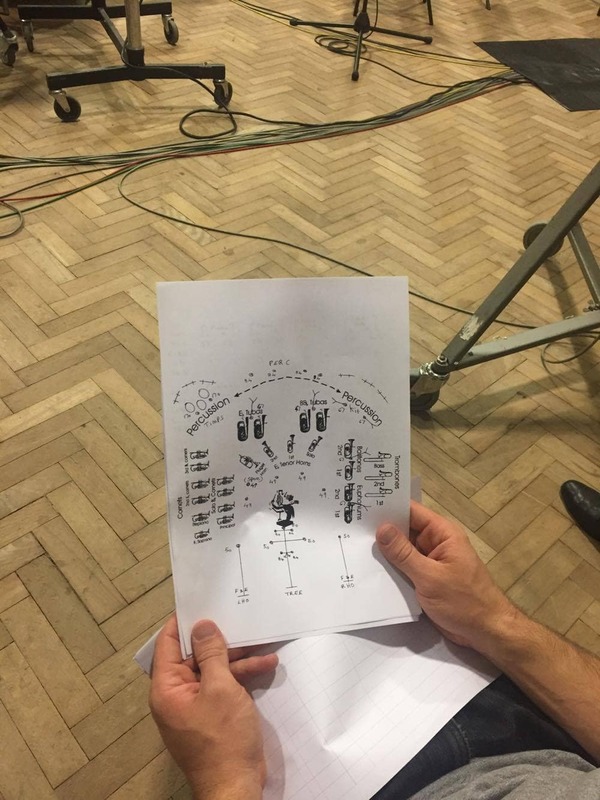 It’s all in a day’s work for our diploma students – recording a brass band, two soloists (violin and piano), learning from multiple Grammy Award-winning engineer John Dunkerley and watching alumnus Chris Cook co-produce the session. 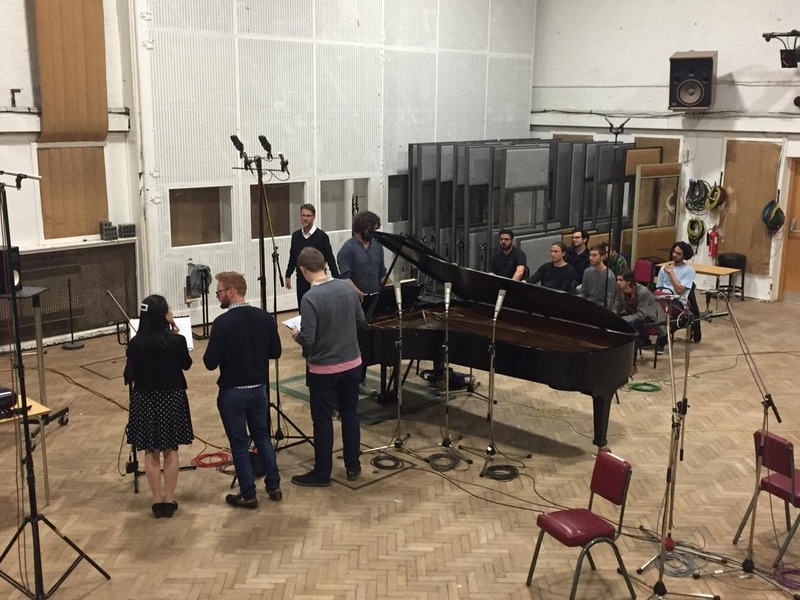 It was an early start for our most recent recording in Abbey Road’s Studio Two. 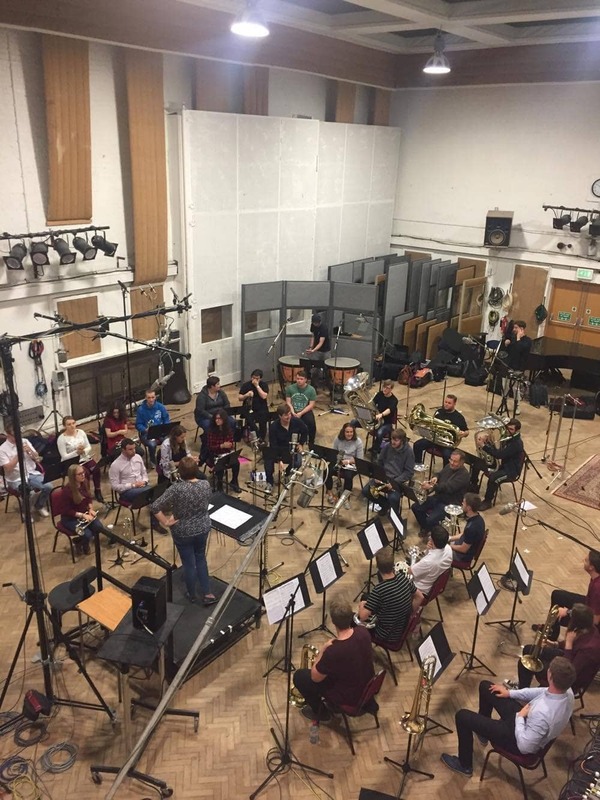 Programme Director Carlos Lellis, engineer John Dunkerley and co-producer Chris met our students first thing to set up the session with Chichester University’s brass band. The band arrived at 10am. John, Abbey Road Studios’ engineer Stefano Civetta and alumnus Chris took their places in the control room. This was Chris’s second recording session as co-producer in Studio Two. Our students observed and discussed the musicians seating plan and studied the scores together with Carlos to prep for the session. Carlos explained the importance of the careful placement of both the musicians and microphones. 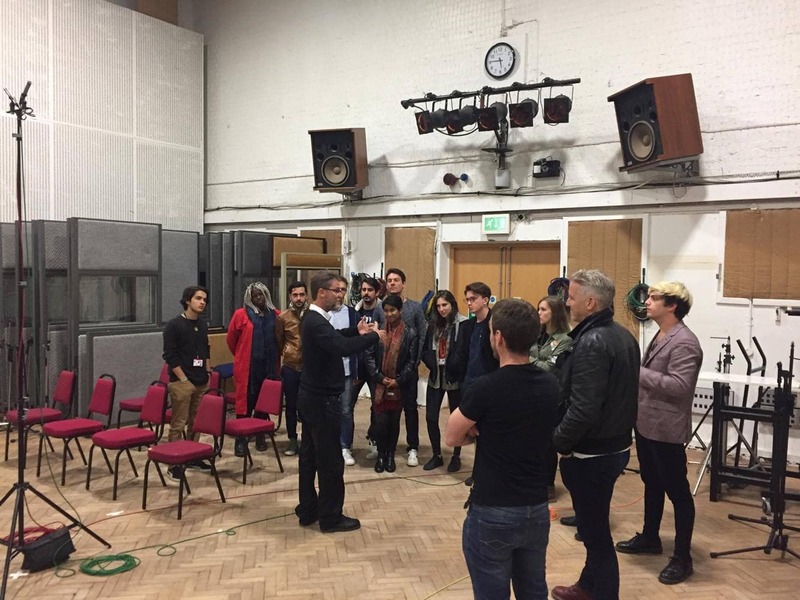 Throughout the session, the class moved between the live room and the control room to gain an understanding of the sound the band produced and what was captured. Between sessions, John, Stefano, and Carlos changed the setup from recording a brass ensemble to solo violin (Lisa Ueda) and piano (Daniele Rinaldo). The afternoon session focused on the Sonata for Violin and Piano No. 9, in A minor (The “Kreutzer”). Student Sergiu is a highly skilled and experienced pianist and was hands-on in assisting pianist Daniele during the session. 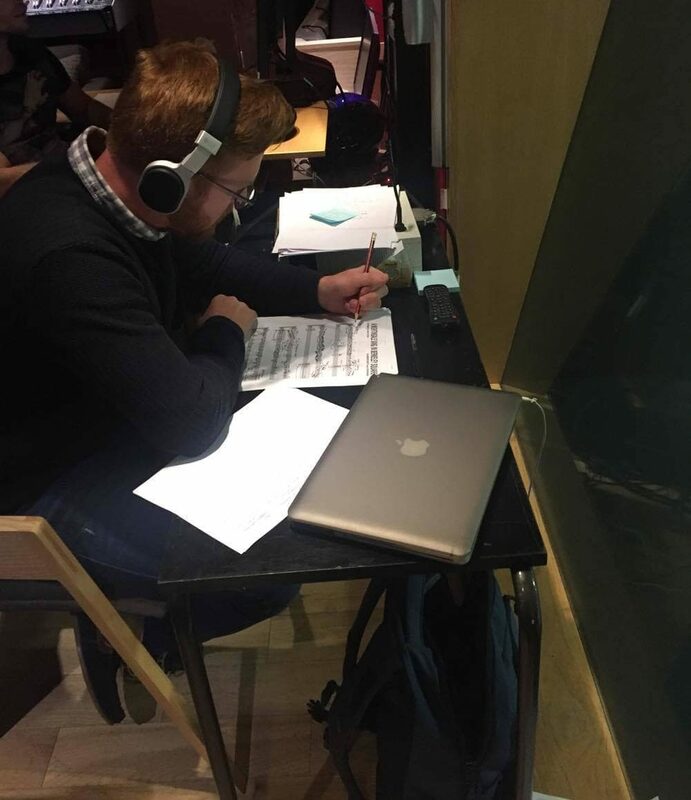 Throughout the day, as with the brass band recording, the students moved between the control room and live room to develop their understanding of the recording process. After four hours of recording in the afternoon, all passages of music had been recorded and the necessary notes were made on each take. Carlos had invited our new September class into Studio Two for a surprise induction. This was an exciting first for the group, Carlos gave a tour and snapshot of the history of Studio Two. During this time John Dunkerley reviewed the session with the students involved in the day. Following on from the recording session the class will receive a copy of the Pro Tools session for editing before meeting with John to go through the mixing stage. If you would like to be part of this learning experience you can apply now for our next Advanced Diploma in Music Production and Sound Engineering which starts in March 2018.